An evening consecrated to the memory of the abducted politicians and public leaders was held in Minsk, Charter`97 reports. It was held on September 16, 15 years after the day when Viktar Hanchar and Anatoly Krasouski went missing. 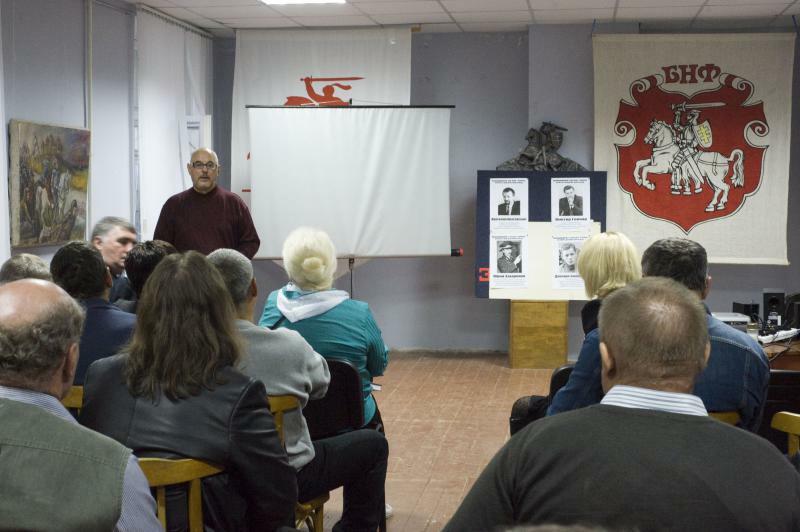 The gathering took place in the headquarters of the Belarusian Popular Front. As charter97.org has learnt, among the participants of the event, organized by “European Belarus” civil campaign, there were human rights activists, lawyers, writers, former political prisoners and public activists. Rights after the trial, a Homel-based activist Yury Rubtsou arrived to the meeting. Zmitser Zavadski’s mother, Volha Zavadskaya, attended the gathering as well. The evening was opened by an activist of “European Belarus” Yuliya Stsyapanava. In the opening speech she reminded about the events which took place 15 years before, and then a coordinator of the campaign Maxim Vinyarski took the floor. Raisa Mikhajlouskaya, director of the Belarusian Documents Centre, told what work is being performed by human rights activists now. One of the most recognized lawyers of Belarus, the chairman of the legal commission of the Belarusian Helsinki Committee Harry Pahanyajla, told about the facts that are little known. After the official part, a concert of a well-known Belarusian singer and songwriter Andrei Melnikau, and the first Belarusian political prisoner, Slavamir Adamovich, took place. Then all participants of the event lit candles, forming the number “16”.